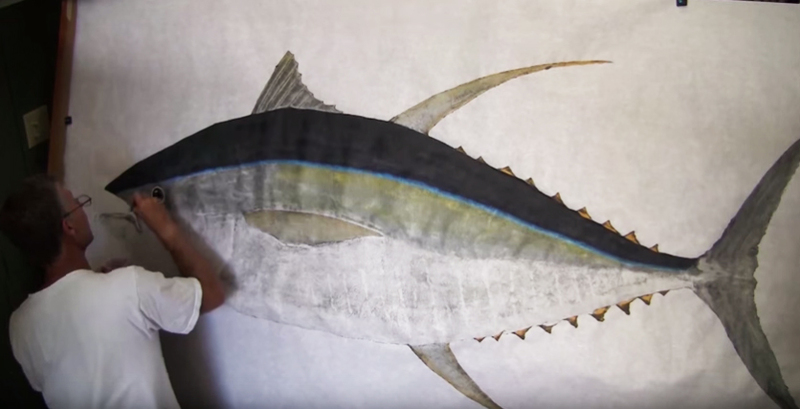 Brian Heustis of Maui Fish Printing and a veteran BD Artist Spotlight participant gives us a high-speed glimpse of the finishing of a fish print of a 320-pound super-cow yellowfin tuna. The short video condenses ten hours of painting into four amazing minutes. Navy Pilot Lands 455-pound Florida Swordfish!